But what if it’s more than fatigue? What if the country likes watching the Clintons in trouble? What if they’re more satisfying to the electoral audience as an impending train wreck than as a second coming? 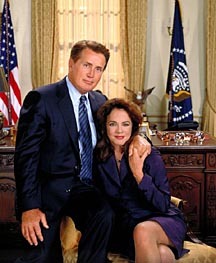 They hope they’re Mr. and Mrs. Bartlet (the Bartlets would hardly exist without them, after all), but they’re really Mr. and Mrs. Smith. Look at these photos from NYT and the NY Post. There’s a glee to the Hillary Shakeuppary. And it’s not even partisan glee. 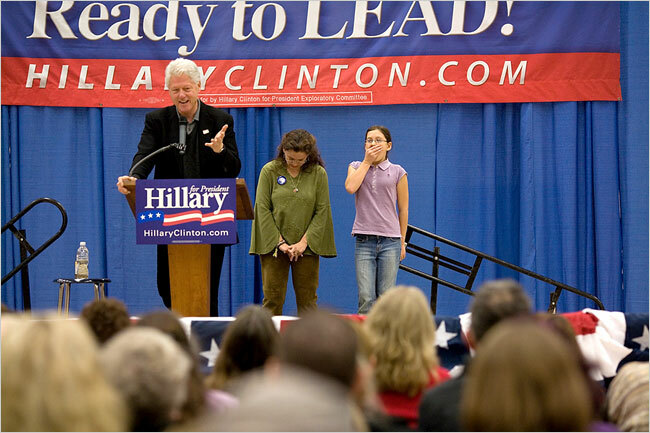 And maybe not even a backlash against the Clintons’ real or perceived arrogance. Maybe we just want to see anyone we associate with authority and notoriety squirm. Maybe that’s what happens when the rich well-educated people who are supposed to protect you from hijackers, high gas prices and rising water let you down.